Measure Colorado is your local franchise of Measure. We deliver actionable intelligence that can improve your infrastructure, keep your assets at peak performance, and streamline your maintenance and management processes. We provide customers in Colorado with turnkey intelligence gathering and assessment services (data acquisition, processing, and reporting), staff augmentation, proof of concept/technology, and toolkits. Our aerial intelligence can pinpoint structural anomalies and identify damage in hard to reach areas, producing more complete and accurate plant data while reducing time, cost, and hazardous man-hours. Our services include thermal inspections of stacks, cooling towers, boilers, expansion joints and pipe hangers, as well as volumetric analysis of stockpiles, all delivered more efficiently and safely than ever before. 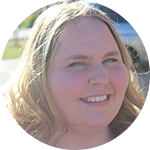 Jessica grew up in a family that owned a grocery store where she learned the importance of customer service. She took her passion for people to work at top senior living communities as a Business Office/Human Resources Director. She has over ten years of experience in financial management, administration and human resources. Jason has a passion for technology. He spent 16 years working up the ranks of IT leadership at the largest franchise organization in health insurance before taking on a leadership position at the number one company for health insurance software. 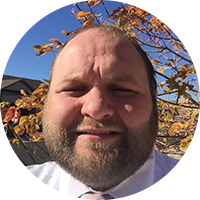 Jason holds a bachelor's degree in Management of Information Systems from Bellevue University. Rhett is certified to fly drones commercially and recognized for his amazing drone footage of the beautiful red rocks and mountains of Utah. He has added critical procedures to our flight operations including weather watch and digital risk assessments. 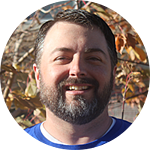 Rhett has a bachelor’s degree in Business Administration from Dixie State University.